Glasgow's Multi-Award winning gift store, voted Scotland's Independent Gift Retailer for 2016 and Glasgow's Best Independent Business 2018! One of our main goals is to trade with an ethical approach and as such we made the decision, from the start, that we would not stock any animal products. All our bags, wallets and purses and vegan friends so you can buy from us with confidence! Sorry, but we have no upcoming events for Maia Gifts. 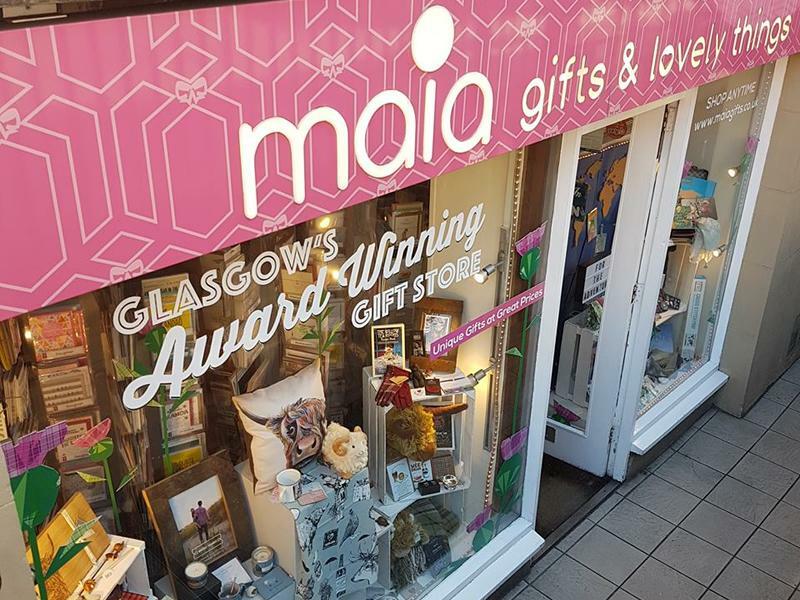 If you know of an event taking place at Maia Gifts or anywhere else in Glasgow tell us about it and we'll list it on the website, for free!